I grew up an hour from Madison, and have many fond memories of Saturday daytrips there with my family. We’d go to a children’s play at the Civic Center and get lunch at Dotty Dumpling’s Dowry. We’d pick up wee cinnamon rolls at Ovens of Brittany or bagels from Bagels Forever. 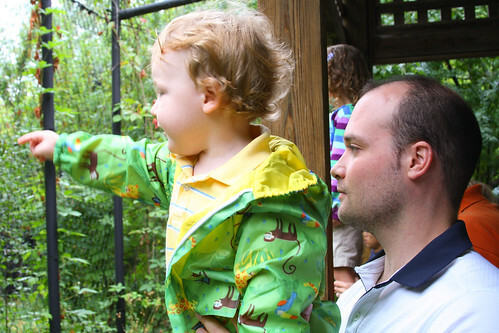 We’d have lunch at Ella’s Deli and go to the zoo. 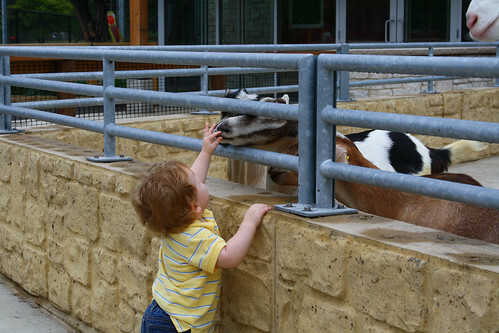 Let me tell you: it’s really hard to conceive of paying for a zoo after living in close proximity to the National Zoo in DC and after growing up an hour away from a perfectly lovely – if small – zoo in Madison. I went there with my friends after prom instead of going to Great America like the rest of our class. Shane and I went there together in the first few months we were dating. It’s a special place for me. You know what’s even better than going to the zoo? 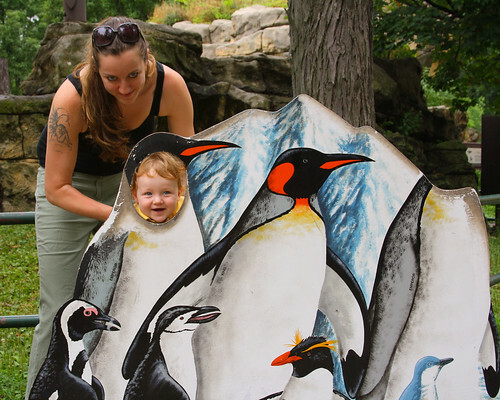 Going to the zoo with a very excited toddler, especially one who happens to be quite cute and also related to you. 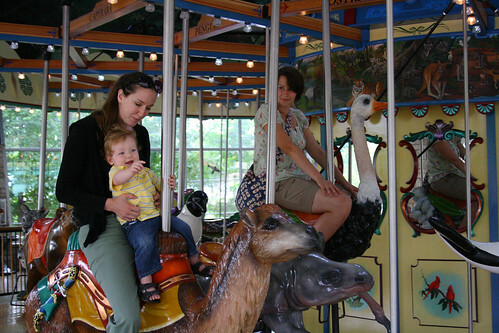 Jenn and Bill met us at the zoo between thunderstorms – our timing was impeccable! – and we had a great time catching up and watching Max point and squeal. Uncle Shane didn’t want to be upstaged when silly photos were involved. A great morning, followed by a great lunch at Chautara and a totally indulgent, absolutely diet-busting trip to Campus Candy, where you can get delicious frozen yogurt topped with ANYTHING IN THE STORE. Kids in the candy store indeed.